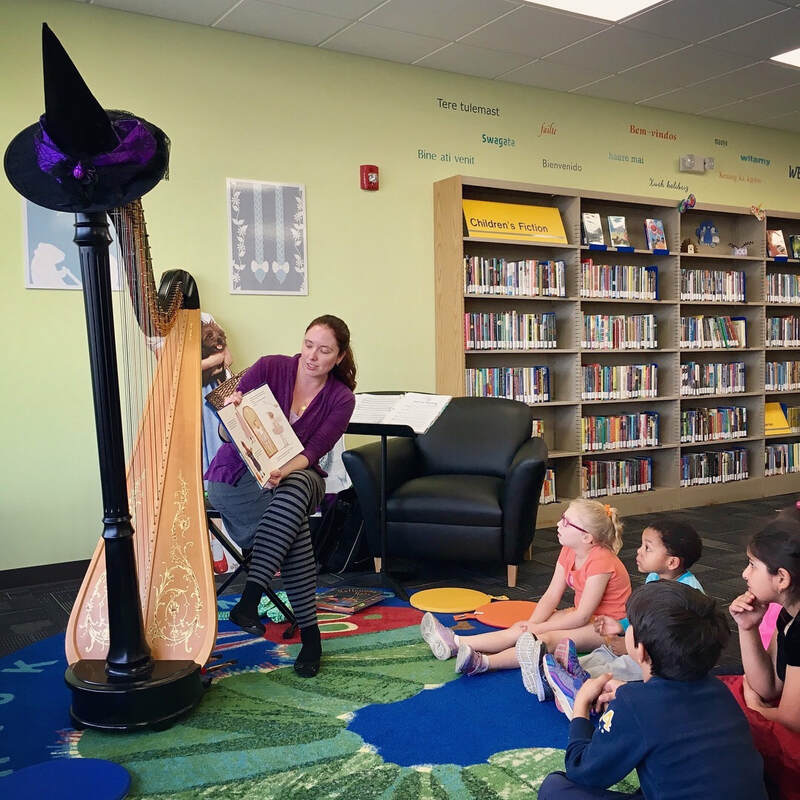 Kela offers interactive experiences in classrooms and libraries for all ages. Stories ~ reading to preschool and elementary students from picture books about music, harps, stories in rhyme, and seasonal subjects. 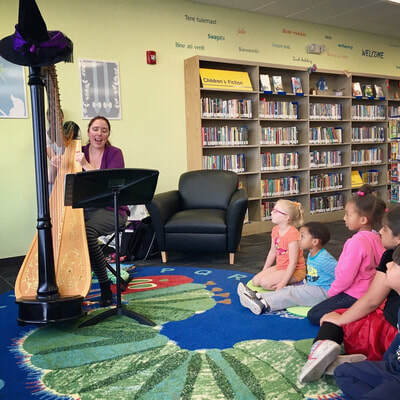 Songs ~ Younger children sing along to Twinkle Twinkle Little Star, The Itsy Bitsy Spider, Mary Had a Little Lamb, and other popular children’s folk songs. Students and families of all ages enjoy singing along to seasonal favorites during the holidays. Action Rhymes ~ Little ones love to get active and learn movements to go with to classic rhymes. Customized Curriculum ~ For older students, I enjoy collaborating with teachers to incorporate concepts students are currently studying in their science, math, history, and literacy classes, in addition to reinforcing musical elements of knowledge such as rhythm, pitch, scales, etc. in my programs. 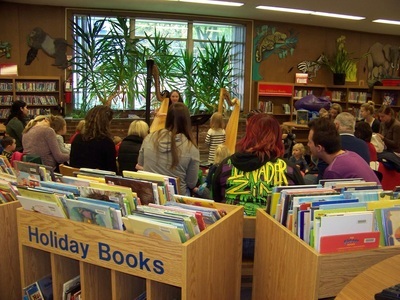 Harp Performance ~ performing harp pieces that reinforce the program theme or curriculum concepts. Please contact me to discuss creating a unique program for your students as well as more information about availability and fees.